The 3D technology is gaining increasing popularity. 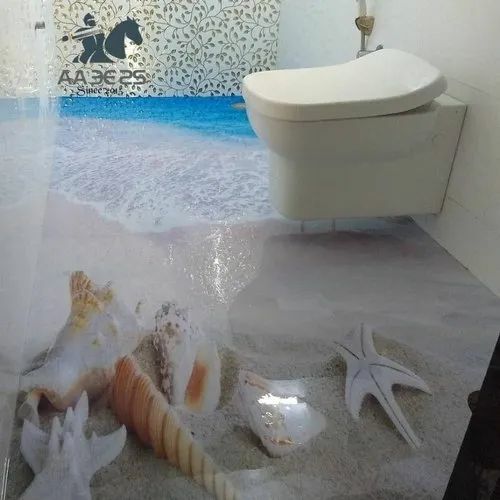 Epoxy 3D floor has been used more and more in shopping malls, halls, offices, homes and apartments due to its creativity and high performance. This is the latest fad in the fancy floor world. Epoxy 3D floor installation process involves laying down a layer of self-leveling primer followed by the desired image. This is then treated with a transparent two-component epoxy or polyurethane to give the perfect image depth. A level of protective varnish is the final step. Not like a sticker or painted vinyl that is directly under your feet, the installed epoxy 3D floor gives the perception of depth and is impervious to all sorts of damage that would usually affect floor decorations.